In conjunction with the Bronx River Alliance, BUILD ON Freshman from Mott Hall Bronx HS canoed a segment along the Bronx River, north and inclusive of the Botanical Garden. A mostly hidden river, seldom observed even from above, the waterway journey offered a unique scenic perspective and learning opportunity. Gliding amid autumn foliage, a waterfall, stone bridges and natural rock formations, paddling students had a chance to explore the river as well as help clean the environment as they bagged washed-up refuse. After a day on the water with beautiful views of the river, educational discussions and a paddle workout, students gratefully applauded. 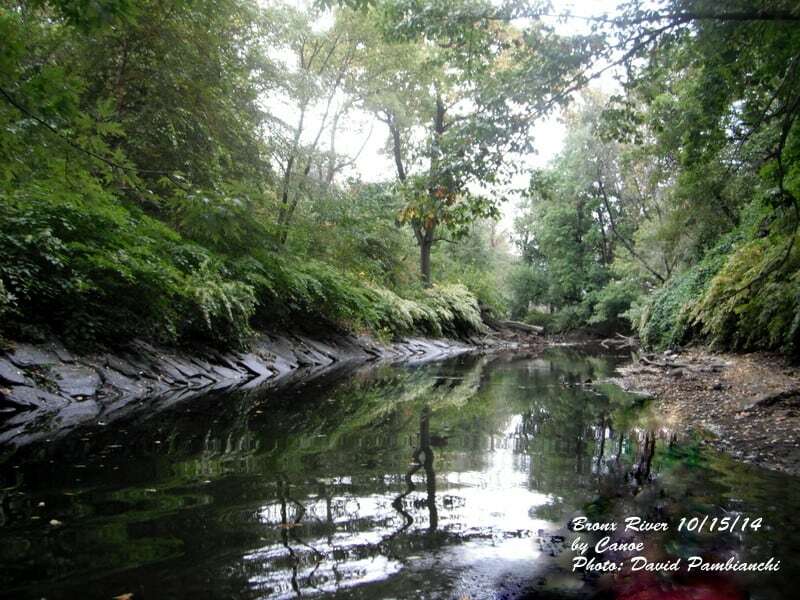 The 24 mile long Bronx River, flowing through southeast New York, was named after colonial settler Jonas Bronck, originally as “Bronck’s River.” It is the only fresh water river in New York City. More information is avaiable at the Bronx River Alliance website. David Pambianchi is a New York writer, who loves to tell stories about the city, the people, the entertainment, the sport and the businesses that catch his attention.